Close to Portobello Road in Notting Hill, the Museum explores how brands have shaped the world and provides a fascinating insight into how our everyday lives have changed during the past 150 years. Discover the evolution of travel and transport, entertainment and leisure, toys and games, and the arrival of hundreds of new brands that have made life easier and more convenient. It is a vibrant social history that is interwoven with royal occasions, two world wars, and events such as man landing on the moon. 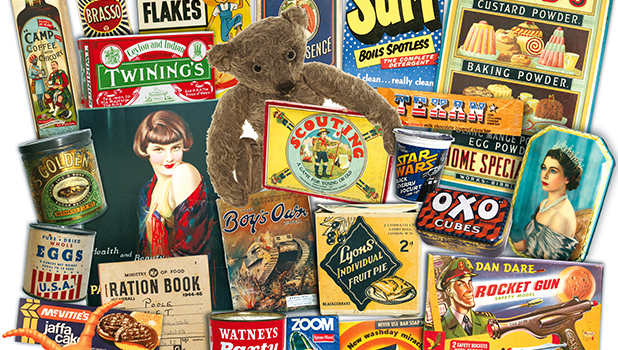 On your journey through the chronological Time Tunnel, you will find the arrival of Cadbury’s cocoa, steam railways, mechanical music, cigarettes, colour printing, Fry’s chocolate, Bovril, radio, Shredded Wheat, Oxo, Lyons individual fruit pies, Mickey Mouse, television, Spangles, Tide, Omo, Dan Dare, Angel Delight, Barbie, Action Man, The Beatles, Watney’s Party Seven, Aqua Manda, Punk, Rubiks Cube, ZX Spectrum, and thousands of other products which together create the rich tapestry of British life. The Museum includes a café that serves hand-roasted Union Coffee. This can be enjoyed in our garden full of sub-tropical plants. A range of books, merchandise and mementos can be purchased from the Museum’s gift shop. Check out the website for temporary exhibitions, talks and events. Last admission is 45 minutes before closing. The Cafe will close 30 minutes before the Museum. Closed Monday except Bank Holidays. Offer not valid 26 - 27 August.